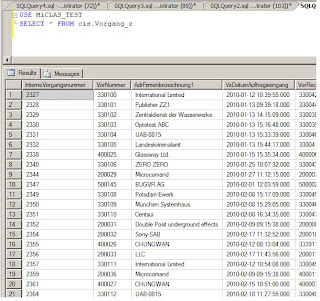 In the second post of this series we see that the metadata shown in the result-set is stored in the SQL Server, even the data is coming from an extern BCS source. The given metadata like “name”, “description” etc. is stored in the PropertyBlob field explained in the first post. 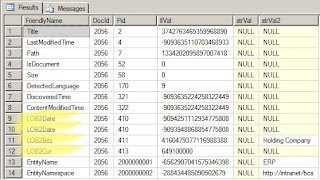 But this Blob only contains data which are part of the managed property “HitHighlightedSummary”. What happened now if we add a crawled property coming from a BCS source to a managed property? We have an External Content Source called “LOB2”. 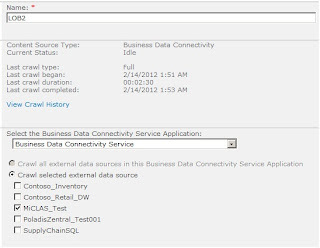 This content source is connected to an SQL Server database called “MiCLAS_TEST”. If we know add crawled propertys to a managed propertys the PropertyBlob chaned1. So were are this informations stored used to generate the updated Property Blob? 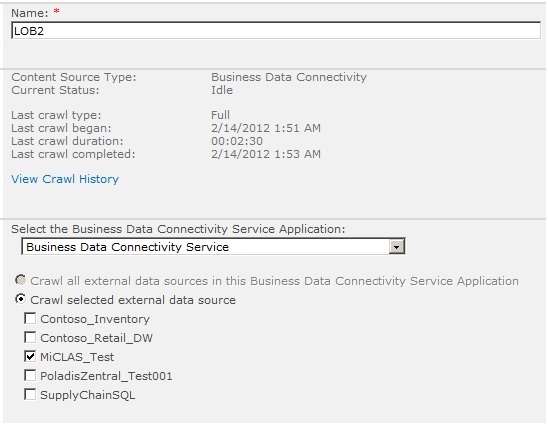 (The update happens while fullcrawling the content source) The answer is the table “dbo.MSSDocProps“ in the „Search_Service_Application_PropertyStoreDB“. 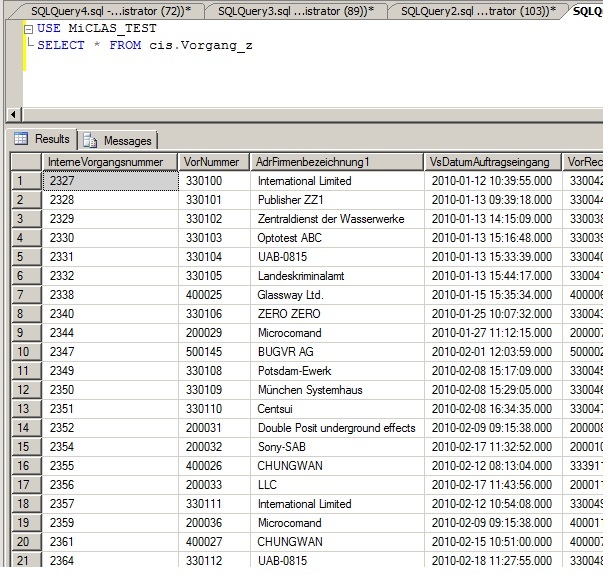 In case of the “LOB2Date” and the “LOB2Cur” values you can see that the data is in the IIVal column. The “LOB2Bez” value is clear text in the strVal2 column. 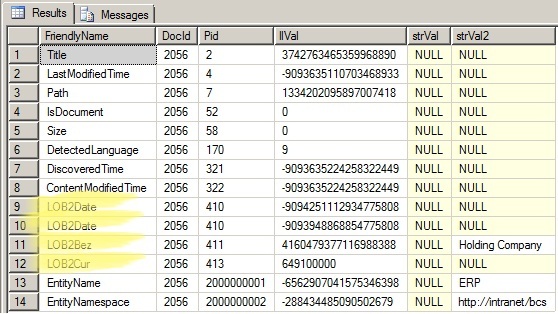 LOB2Date is a cryptic datetime value based on the datatype DateTime Structure. LOB2Cur is a decimal value. Outstanding! What a wonderful content you've written on SharePoint.Thank you so much for sharing your knowlege on SharePoint Developer with us. Please keep sharing such as great content in future.